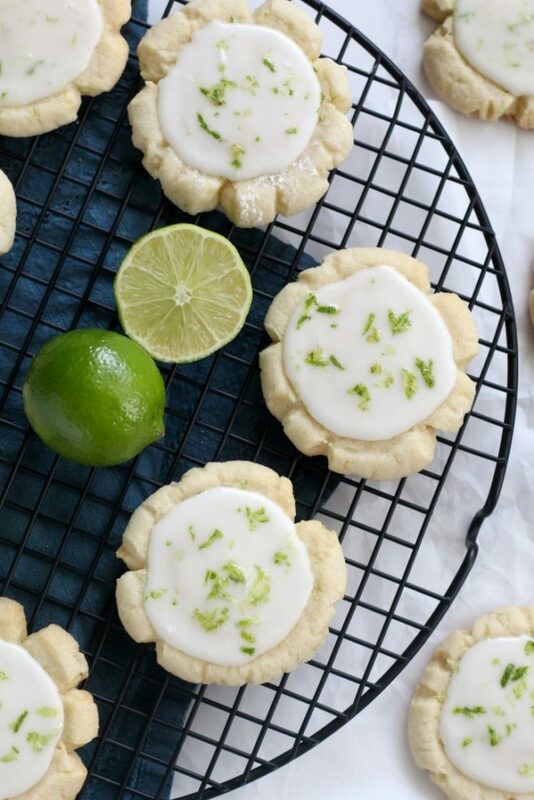 I took a favorite sugar cookie recipe and added in some coconut oil and lime zest to give it some fun flavor. Then, once they were cooled I put a simple glaze with lime zest on top. 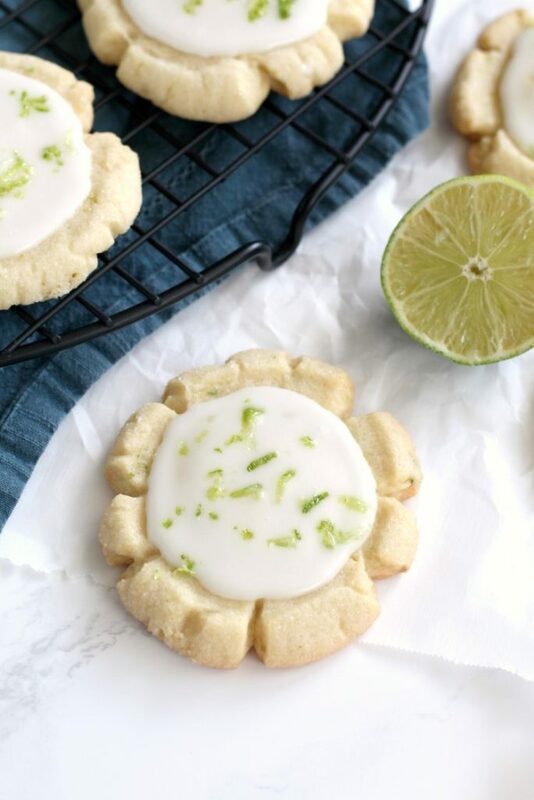 Ta Da a perfect summer cookie! Although, I wouldn’t be sad to eat them anytime of year. While I’m asking all about your favorite cookies, I might as well get your life’s cookie philosophy, so I’ll ask one more question. 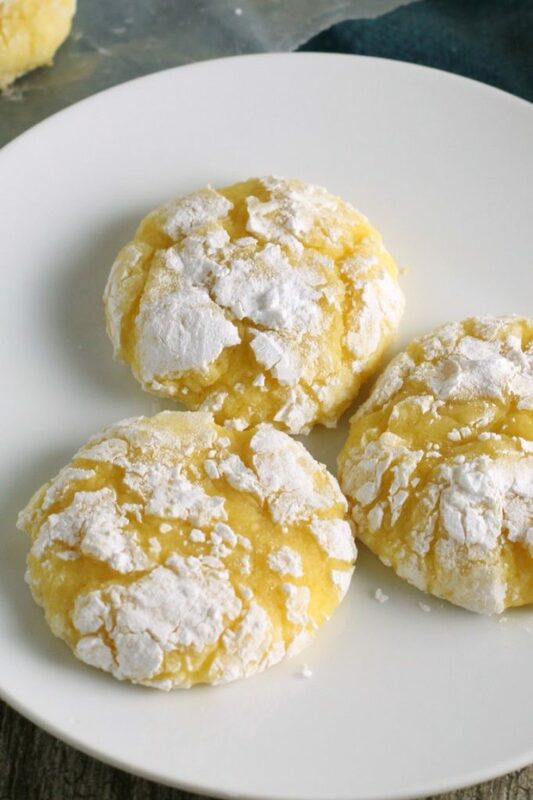 When you make a batch of cookies, what is the acceptable number of cookies you can eat warm from the oven? To me, it is 2-3, but I’ve definitely at more before. Tyler’s take on cookie eating is – eat as many as you want from the oven, because that is when they are the best. After that, don’t even bother eating them. Cream the butter and both sugars together in a large mixing bowl. Mix in the coconut oil. Beat in eggs and vanilla. In a medium mixing bowl, whisk together the flour, cream of tarter, baking soda and salt. Stir the dry ingredients into the wet. Mix in lime zest. Preheat oven to 350 F. Roll into 1 inch balls, roll them in sugar and place on a cookie sheet. Press with a glass or other smooth round object until flattened 1/3 inch thick. Bake for 7-8 minutes or until just barely browned around the bottom. Let cool on cookie sheet for 2 minutes before removing to a wire rack to cool completely. 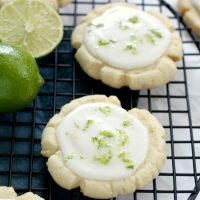 To make the glaze, beat together the powdered sugar, lime juice, lime zest and enough of the milk to make a smooth consistency. Spread on cooled cookies. 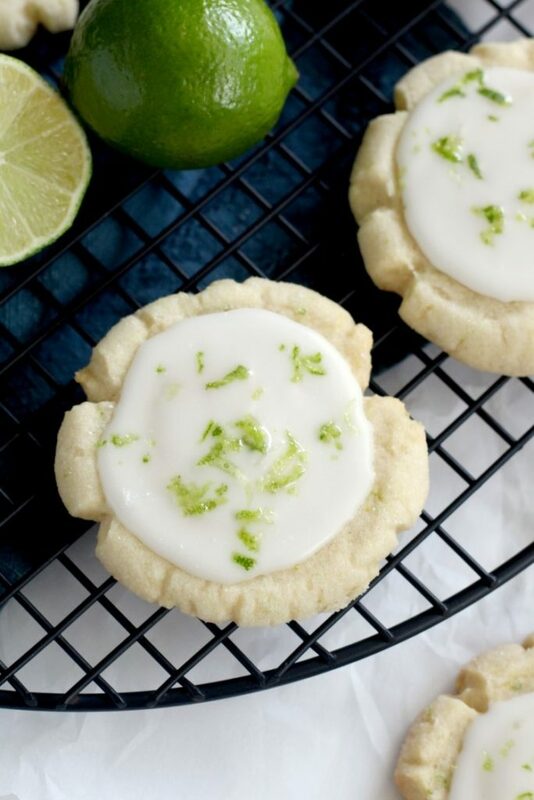 Here are some other coconut lime desserts that sound amazing. These look amazing! I love how you added lime zest to the top! Mmmmm! 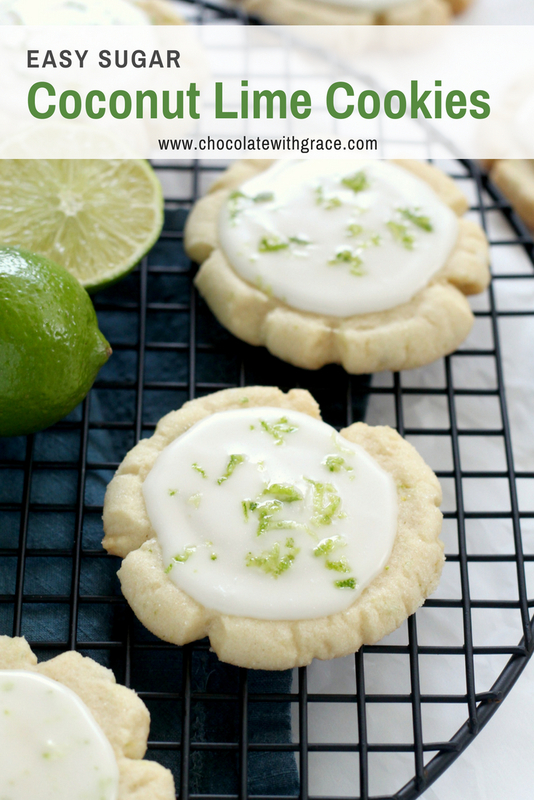 Coconut and lime are a heavenly combination, especially in cookies! 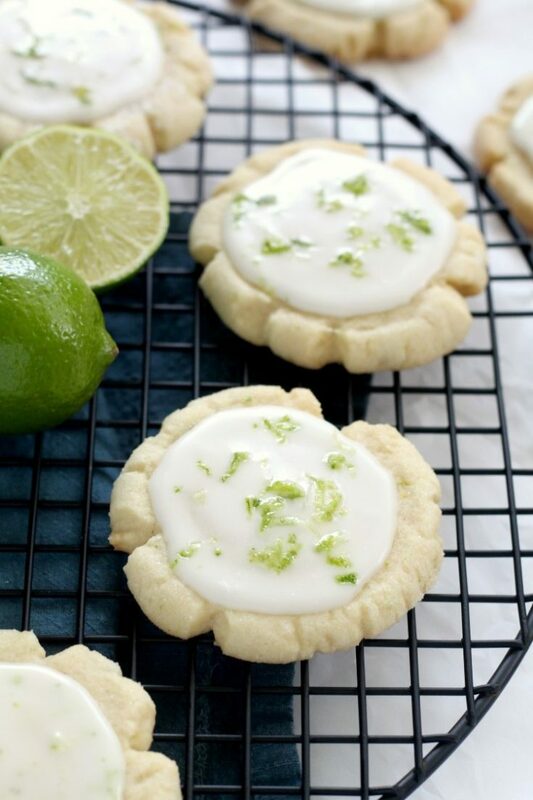 These cookies are perfect for summer and snacking on by the pool! Love them!! What!? Love this flavor combination. 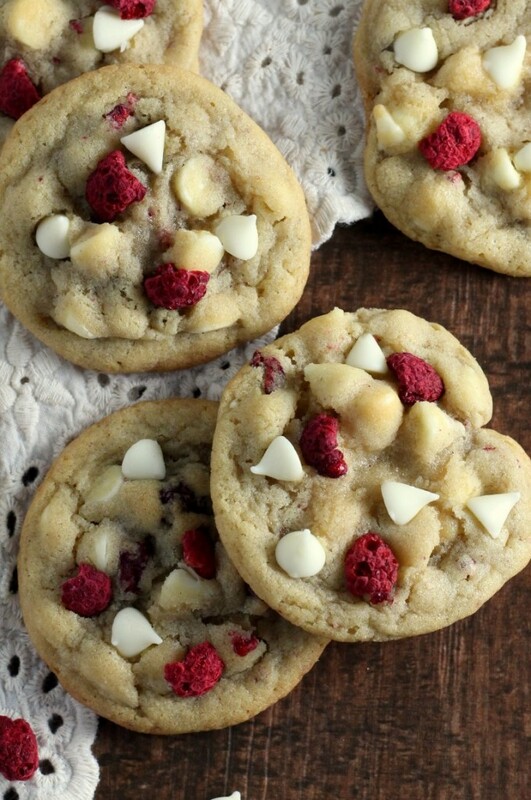 I NEED these cookies! Yum! !